Painting expert John Van Groningen shared the top five colors used by his Chicago-based company, Jondec Painting, in an Angie's List article. 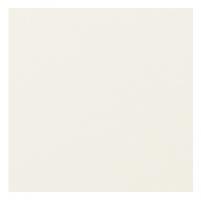 At the top of Van Groningen's popular colors list is Benjamin Moore's White Dove. This warm white with a slight hint of gray was also given an honorable mention by designer and blog author Luciana of Home Bunch and made the top 20 list of favorite white paint colors over at Laurel Bern Interiors. Also appearing on Benjamin Moore's own best-selling white paint colors list, White Dove is the go-to shade for interior walls or trim. Another shade of white that made designer Laurel Bern's top 20 list and appears on Good Housekeeping's " The 10 Paint Colors Designers Always Use" is Benjamin Moore's Decorators White. 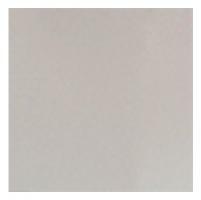 This shade provides a crisp, clean look in rooms with abundant natural sunlight. Lower light settings bring out the slightly gray-green undertones. White walls contrast beautifully with natural wood flooring and trim. The walls appear to recede, allowing the color and grain of the wood to stand out. 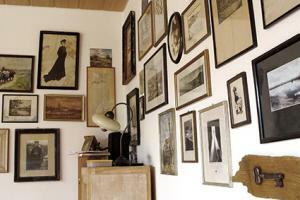 Collections of framed art and photography have greater prominence when displayed against a white background. Use white paint to give dated brick or stone fireplace surrounds and walls a fresh, contemporary look. A monochromatic, all-white room places more emphasis on texture, form and small details. Add interest to kitchen walls with bead board paneling and contrast white kitchen cabinets with antique bronze hardware. Sculptural shaped accessories and unusual profiles on furniture keep boredom at bay in an all-white space. Many designers and homeowners opt for the warmer tones of beige as a comfortable backdrop for interior walls. Interior designer Jane Lockhart sums it up as a color "people find they can live with long-term;" a statement that points to the flexibility of beige, which easily complements so many other hues. Four shades of beige appear on Neal's Home Remodeling and Design Blog, being listed as one of the hottest interior colors for 2014 and being recommended for use in homes with open floor plans. 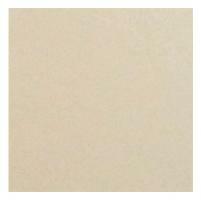 One of their picks is Sherwin-Williams's Kilim Beige. This warm beige hue has red undertones and complements darker toned woods such as cherry and mahogany. 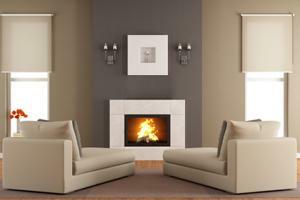 Beige has also taken a new direction, being combined with another popular neutral, the color gray. This new incarnation is called "greige" and Neal's Design and Remodeling recommends Sherwin-Williams's Accessible Beige and Worldly Gray. Ralph Lauren's Cinderblock - Designer Myke Reilly describes it as very restful and pleasing to the eye. Glidden's Warm Caramel - Glidden's Director of Color Marketing Barbara Richardson suggests it works wonderfully with both traditional and contemporary design styles. Explore some of the best uses for the color beige in your home. Designer Jane Lockhart suggests gray-toned shades of beige, essentially hues of taupe or greige, such as her favorite, Stone Hearth by Benjamin Moore, to give light maple or blond wood an updated, more sophisticated look. Hues of creamy latte are as warm and appealing as your favorite coffee drink. Los Angeles designer Mary McGee likes to mix paint colors for a perfect shade of cream. A color with real potential for surpassing white and beige as the most popular for interior walls is the color gray.  The interior design blog 1 Kindesign hailed gray as the new white and one of the hottest go-to colors for designers. Gray is the perfect choice for a monochromatic inspired room, "layering shade upon shade". Shades of gray with blue and green undertones make a beautiful complement to the brown tones of wood and leather furnishings, such as these designer picks via Bob Vila's best neutrals list and House Beautiful: Behr's Safari Vest and Sherwin-Williams's Magnetic Gray. Darker tones of gray add a sense of formality or make a dramatic statement on an accent wall. Dark gray makes a lovely backdrop for vintage furnishings and antiques. Designer Lisa Mende shares excellent examples of charcoal gray paint colors, including Farrow & Ball's Down Pipe, which would work for these applications. Light gray softens rooms with the feel of a light cloudy mist or fog, perfect for a cooling effect in hot, southern climates or rooms with southern exposure. Light gray also works well for adding color to the ceiling or providing a calm, relaxing atmosphere. 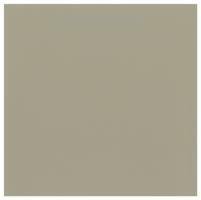 Kelly-Moore's San Francisco Fog - Director of Color Marketing for Kelly-Moore Mary Lawlor always recommends this light, silvery gray to family and friends as noted on Bob Vila's list of fail-safe colors. Sherwin-Williams's Essential Gray - Designer Kerrie Kelly tells Good Housekeeping readers that this color provides a clean, sophisticated backdrop. Color columnist for Apartment Therapy and New York City painter Mark Chamberlain suggests using flat paint instead of semi-gloss or high-gloss on walls to Real Simple readers. "Otherwise, any beautiful gray you choose will look like industrial metal-imagine a Dumpster." He goes on to say that unlike flat white wall paint, which tends to show smudges and fingerprints, "gray actually hides flaws". Culver City, California-based interior designer Erica Islas suggests using a creamy white paint for wall trim with both light and dark gray walls, such as Benjamin Moore's White Dove, to Real Simple readers, noting that "stark white can look too jarring". Interior designer Jennifer Moore of New York City compares cool grays with blue undertones to the darkening sky before a storm in another Real Simple article. Cool grays hold their color in a sunny room, where some grays look dull.  these peaceful, Zen-like hues are perfect for a crisp, clean look in the bathroom. The Huffington Post calls blue a crowd pleaser, recommending it as a good choice for those venturing out of neutral colors. The Toronto Sun reports that Canadian paint manufacturer Dulux Paints conducted an international survey on color preference in 2011 and found blue as the top color choice overall. The results from 30 different countries found 42 percent of males and 30 percent of females named blue as their favorite color. Interior decorating trends closely follow fashion trends, giving fashion design expert and diy enthusiast Cyndy Aldred professional experience and a trained eye for interior color palettes. 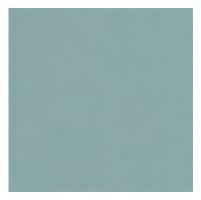 Her guest post on best-selling and most popular paint colors appearing on Remodelaholic features three shades of blue in addition to the top-selling neutrals of white, gray and beige. They are Benjamin Moore's Palladian Blue, Buxton Blue, and Van Courtland Blue. Blue pairs well with practically any woodtone. It's a flexible color that transitions easily from one style to the next and works well in most rooms. 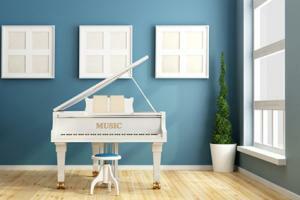 Some of the most popular or best-selling shades of blue are mixed with gray and green. Several of the designer favorite grays on House Beautiful are muted mixes of blue and green, including Farrow & Ball's Green Blue. Ed Ku, of Coffinier Ku Design, Ltd. suggests HGTV readers decorate with blue and orange in a room for "a complementary intensity." Designer Andrew Suvalsky, also a fan of a blue and orange color scheme suggests to HGTV readers, "My inclination is to bring in one earth tone or neutral color to make the look more modern. Without an earth tone, anything from cream to beige to brown, blue color combinations will feel more traditional." In the kitchen, HGTV notes that powder blue looks country, while aqua provides an energizing touch. Consider deeper shades of cobalt or navy for cabinets. While having one of the most popular interior paint colors on your walls is not all that important, color harmony is necessary for a pleasing pallet. The key to a balanced look is to keep the saturation or intensity of each color the same. The lighting and surrounding colors in a room will always affect how any paint color looks on your walls. Use painted sample boards to try out colors in your home. Move them around the room, viewing the colors under different lighting conditions and comparing them against other colors, helping you zero in on the perfect shade, tint, or tone.